Aim and release! The bolo toss is a fun game for players of every age. 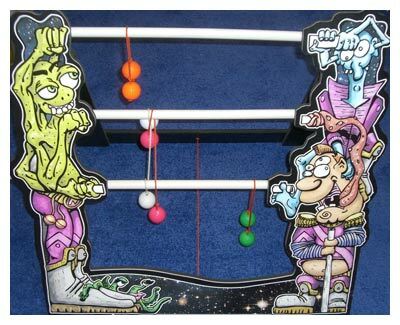 Stand back as far as you'd like to make it harder or easier and toss the ropes around each bar - or every bar - depending on the degree of difficulty you'd like to play at!